My big chop. Embracing organic haircare. During the Christmas holidays I decided to go for it and cut off more than half the length of my hair. All that old, tired hair would be gone, and I would be left with newer, healthier hair that has never been in contact with any toxic chemicals. So I did it! At first, I thought of going really short, but then I thought I should go shoulder length first, and then decide whether to go shorter. 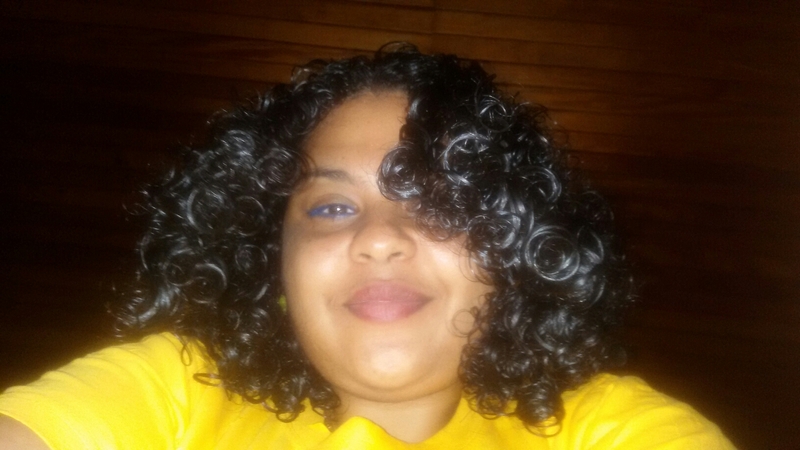 I loved it at this length, and totally enjoyed practicing my hair care routine which has become very very simple. I wash my hair with Madame Yasmeen’s shampoo bars or just bicarbonate of soda, rinse with apple cider vinegar, and while it’s still wet I apply M.Y. 100% natural hair oil or hair butter, or both! My hair becomes very soft and easy to comb and style. It’s also growing quite fast. Here is a dry up-do just 2 months after I cut it. 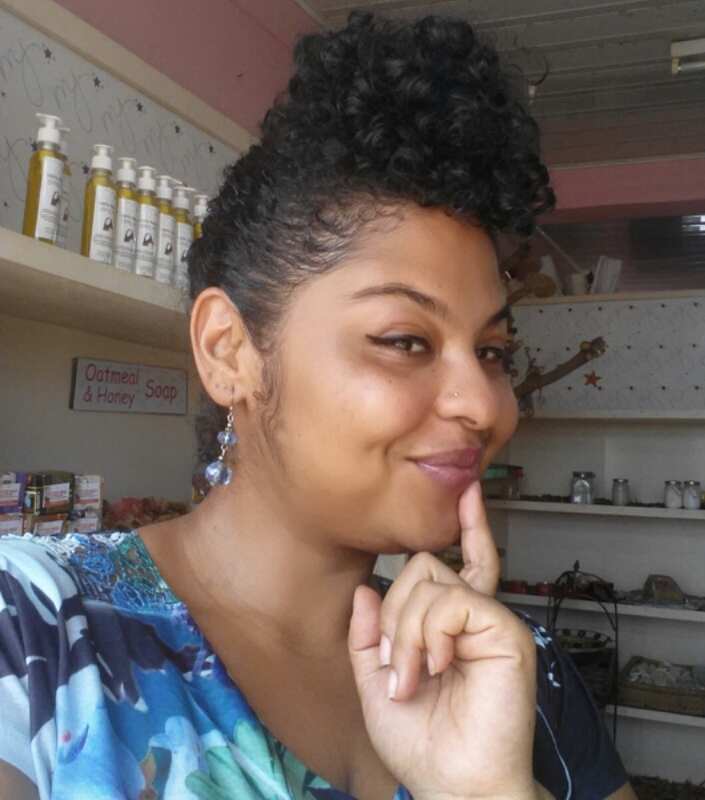 My advice to anyone embarking on the natural hair journey? Stick with it. You will be glad you did! You can keep experimenting with different options until you find the hair care routine that works best for you. The basics: a natural organic shampoo (or just bicarbonate of soda! ), a good chemical – free leave in conditioner and moisturizer. In my case, M.Y. 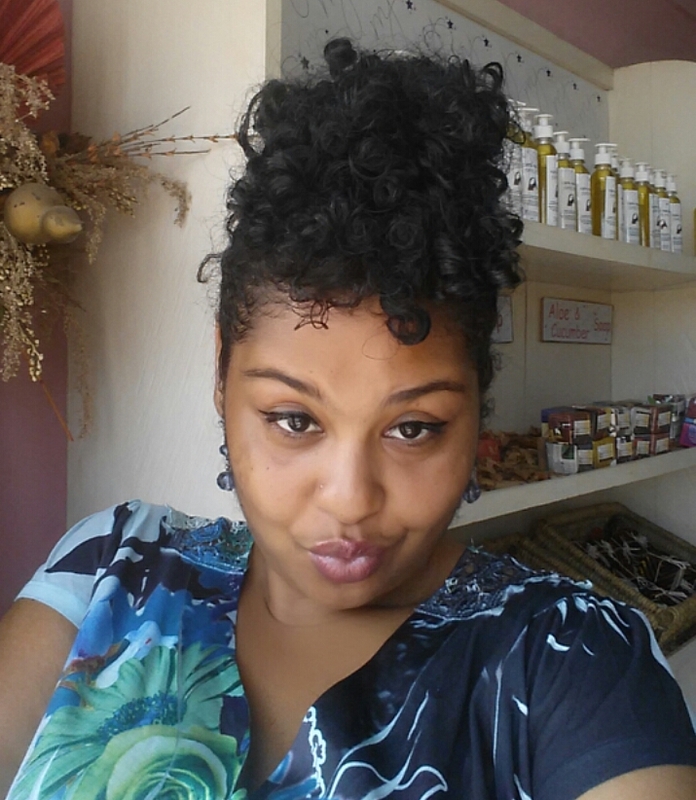 100% natural Hair oil and hair butter serve as my leave in conditioners AND moisturizers. Once in a while, a natural hair mask is an added plus. See examples in my previous haircare posts. For restyling without washing, have a spray bottle on hand containing some water and maybe a few drops of a nice essential oil like Lavender. Spray your hair to get it damp; you may need to add some more moisturizer or styling butter to give you a nice finish. Embrace that natural hair and stay fabulous!